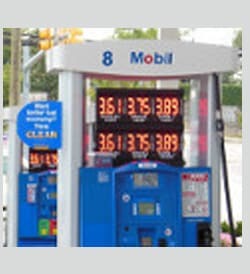 We can help your business make the transition from plastic numbers to LED Gas Price Changers. 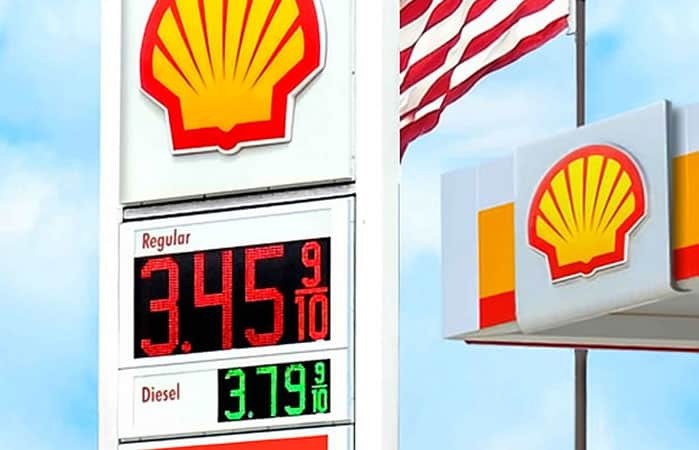 If your sign is looking tired after years of reliable service, perhaps it is time to & Wireless Cash Credit LED gas price signs with 18 inch remote control price changers will improve your employee safety and increase your sales revenue. Cash Credit pricing makes a clear statement of your policy and sets customer expectations properly. You need only one LED price Changer for the CASH and Credit Price of your fuel. The prices automatically swap from cash to credit every 5 seconds once they are set. Our cash credit system allows truck stops to swap the price of Regular and Diesel not just Diesel. Retail gasoline Stations can advertise Regular, Plus, Premium and Diesel or any products they wish with only one price changer for each product! Contact US NOW for a free estimate. 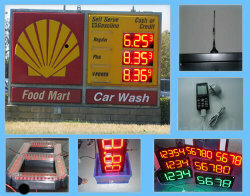 We can help your business make the transition from plastic numbers to LED Gas Price Signs. 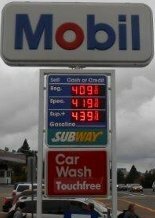 If your sign is looking tired after years of reliable service, perhaps it is time to retire your gas station sign and replace the logo, main ID, gas price changers and add LED Electronic Message Centers.you will increase public safety, your brand image, customer loyalty and of course your bottom line! 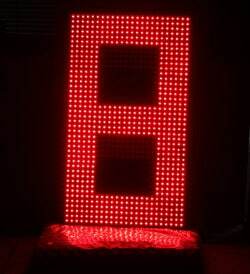 A LED gas price sign and LED lighting upgrade will cut your costs as well as increase sales.A comprehensive LED Lighting Strategy combined with a LED price changing signs will improve your customer loyalty, repeat business, attract new customers as well as reduce your electric bill by up to 70% each month. Contact US now for a free evaluation! For any truck stop with a large sign on an interstate highway, extra wide digits are recommended. 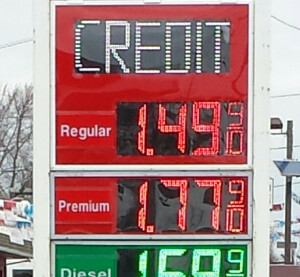 Visibility of a 5 foot tall LED Gas Price Sign will enable your customers to read your prices from up to 1/2 mile away. 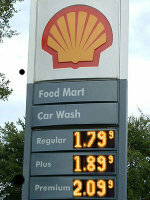 These Shell wireless price signs make changing gas prices a snap! No more poles or ladders are required just to change the price of your gas. This Mobil Gas Station in San Diego, CA has a convenience store and a Subway. 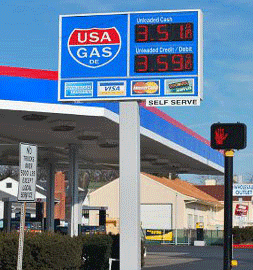 The Wireless LED Gas Price Sign makes staying ahead of the competition very easy. 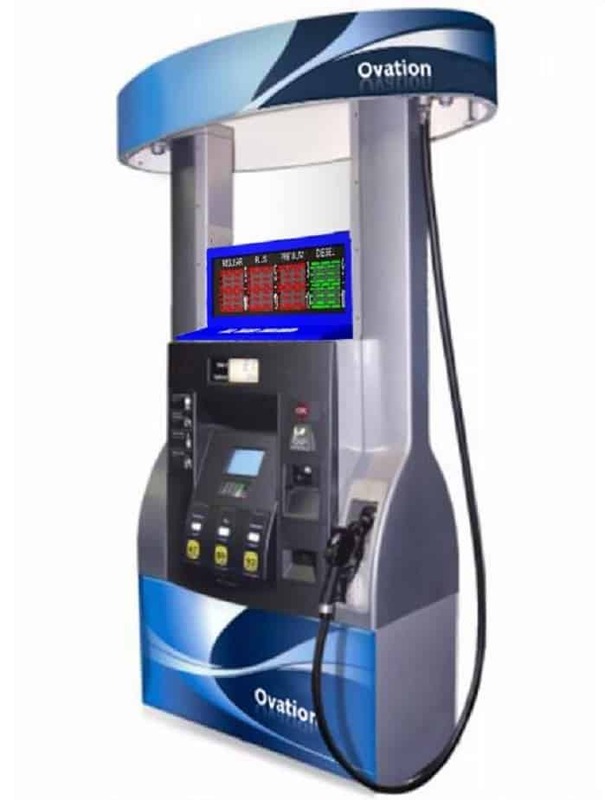 LED Pump Toppers clearly sets your customers’ expectations about the price of your fuel. Get a free quote for new LED signs including complete design and installation across the USA. 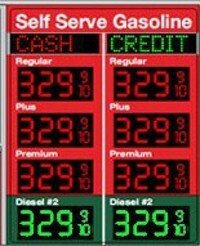 Our new LED Auto Swapping CASH CREDIT Fuel Price Sign will make money for your business! You can afford to advertise the cash and credit prices for all products not just Regular and Diesel. Contact US today about special NO INTEREST financing options to improve your gas station today. 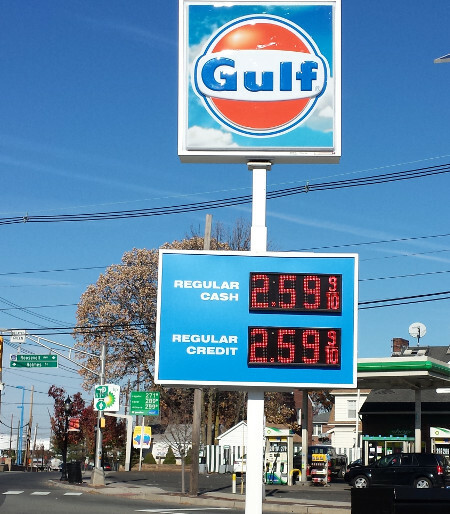 This Wireless Cash Credit led gas price signs is located in Carteret,, NJ. Notice that the price of gas is clearly seen even in bright direct sunlight.We provide the best LED price changing signs at reasonable prices.Ask about our NO Worries Warranty! 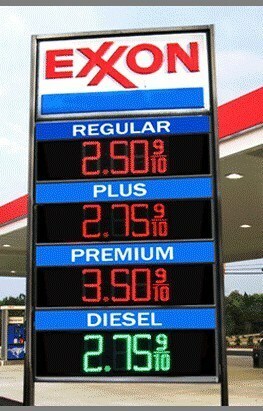 This Flag style aluminum LED gas price changing sign is in southern California. Wireless Cash Credit LED gas price signs with 18 inch remote control price changers will improve your employee safety and increase your sales revenue.